How do countries become dictatorships? What social, political, and interpersonal dynamics create opportunities for despots to take and maintain control? And how are dictatorships overthrown? Ever since World War II, social scientists have recognised the crucial importance of these questions. Yet despite the great strides made in our understanding of dictatorships, most studies in this area are undertaken by academics in liberal democracies who view totalitarian societies from the ""outside in,"" a perspective that has caused researchers to ignore crucial elements of everyday life and to misunderstand the role of ideology and brute force in totalitarian societies. In this book, Fathali Moghaddam presents his ""springboard model"" of dictatorship, derived from both a substantive analysis of the common structures underlying dictatorial regimes and his own personal experience of life in a modern dictatorship. 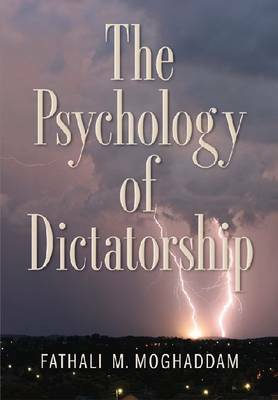 He discusses the importance of psychological processes such as displacement of aggression, conformity, obedience, fear, and cognitive dissonance as tools that aid the development and maintenance of dictatorships, as well as the crucial role of ideology in cementing the allegiance of elites. Since even democracies contain an ever-shifting relationship between democratic and dictatorial tendencies, with elements that can pull democracies back to dictatorship, this book has important implications for citizens of all nations, even our own.